Patron saint turning beauty icon? Santa Cecilia, the patron saint of music and choir singing, is particularly famous in Rome, her city of birth where she suffered martyrdom. One of Rome’s most renowned orchestra and choir is named after her, the Accademia Nazionale di Santa Cecilia. 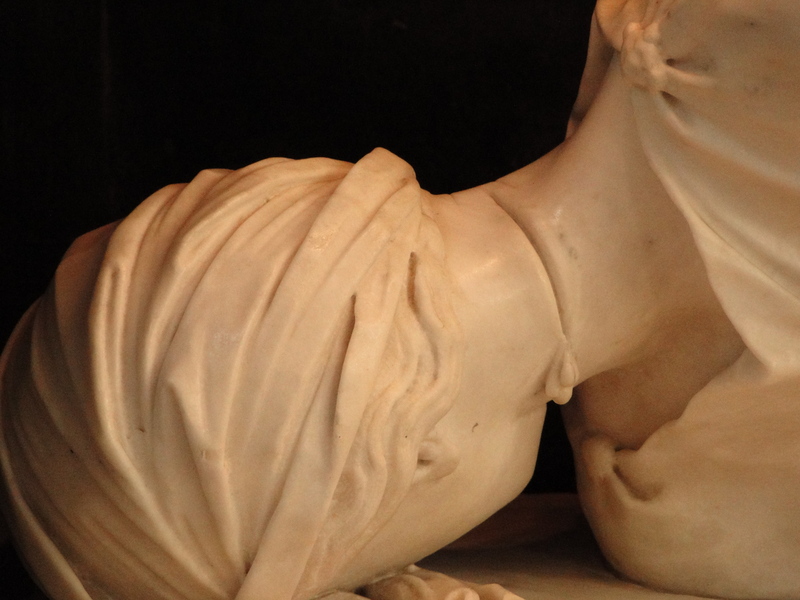 She is depicted in many paintings, but the most beautiful representation ever made is a marble statue by 17th century artist Stefano Maderno, located in the church of Santa Cecilia in Trastevere. According to the Golden Legend, Cecilia lived towards the end of the 2nd century and beginning of the 3rd. She was from a noble Roman family and like many women of her condition she was destined to be married. However, on her wedding night, Cecilia told her husband Valerio of her wish to remain a virgin for the love of God and asked him to convert to Christianity as well. He respected her desire and agreed to be baptized together with his brother Tiburtius. The three of them led a very devout Christian life, helping the poor and making sure all Christian martyrs were decently buried. When the Prefect of Rome found out about them, he asked them to give up on their god to worship the Roman deities instead. On their refusal, he decided to sentence them to death. The three of them were brutally killed, particularly Cecilia who was beheaded. Later in the 5th century, a small church was built on the site where her house was believed to be. About 12 centuries later, Santa Cecilia in Trastevere was renovated and expanded to build a more grandiose church in the spirit of the times. During the excavation in 1599, Cecilia’s body was found supposedly unaltered, in a twisted position with a very apparent cut on her neck. The young sculptor Stefano Maderno, a distant relative of St Pietro’s chief architect Carlo Maderno, was there to see the body. He carved a sculpture which was so original and touching that it overshadowed all of his subsequent work. 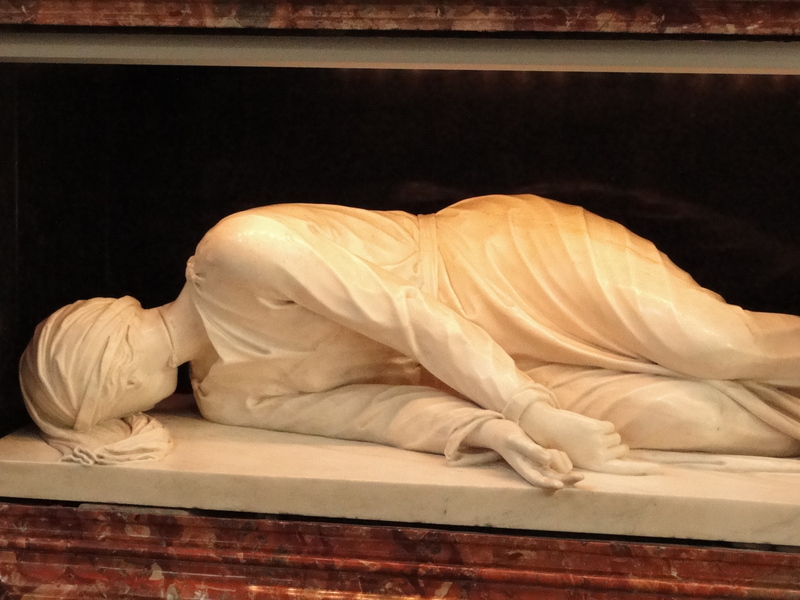 The sculpture shows Cecilia in the exact position she was when she was found, her head twisted to show the large cut on her neck. She looks like she is made of flesh, the curve of her body flowing harmoniously with the pleats of the cloth covering her. Maderno went on to work on various commissions in the city, but his name remained forever attached to this one sculpture. Today it still looks extremely modern, so much so that international comestic firm, Estée Lauder took an interest in it and financed its restoration in 2002. We don’t know whether it was a generous gesture towards the arts or whether this particular representation of Santa Cecilia will be used for more commercial purposes. We hope not. It is such a beautiful and unique piece that it should be preserved from image overload, and enjoyed only occasionally in the very place where she is resting. 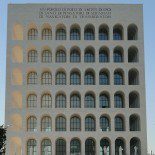 This entry was posted on February 6, 2011 by Salambo in Ancient Rome, Arts and culture, Baroque Rome, churches, English, Roman artists and tagged church, early martyrs, estee Lauder, Rome, saints, Santa Cecilia, Trastevere.